The CURCA mini-grant of Dr. Ramneet Kaur, professor of biology at UNG, will study the effects of natural products such as ginger, garlic, blueberries, turmeric, grapefruit and ashwaganda (an herb) as a possible treatment in combating aggressive forms of breast cancer. Two University of North Georgia (UNG) professors will conduct research on separate projects improving human health as a result of the Center for Undergraduate Research and Creative Activities (CURCA) mini-grants announced earlier this month. 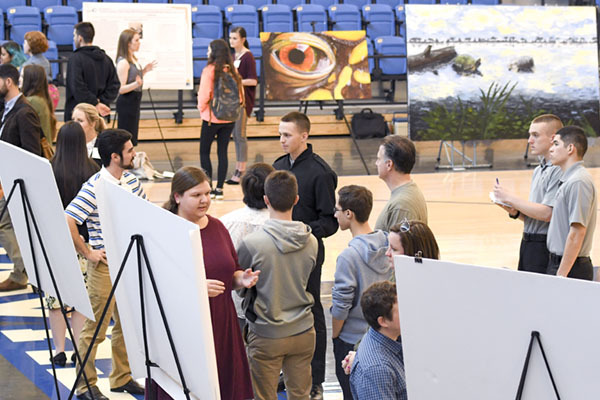 Dr. Ramneet Kaur, professor of biology at UNG, and Dr. Paula Seffens, assistant professor of kinesiology at UNG, had their projects selected for the annual $3,000 funds to be used in support of undergraduate research projects in all academic areas. A total of nine projects received the mini-grant funding. Dr. Kaur's project, "The Effect of Natural Products Like Ginger, Garlic, Blueberries, Turmeric, Grapefruit, and Ashwagandha on the Growth of Triple Negative Breast Cancer Cells," will study the effects of natural products on the growth of breast cancer cells. Currently, the main cancer treatment available is chemotherapy, which is nonspecific and attacks all fast-dividing cells in the body. It doesn't distinguish between normal fast-dividing cells and cancerous cells; as a result, treatment often results in more harm than good. "Patients are dying from the side effects of chemotherapy. There is an urgent need to find a treatment that is safe for the patients and has less side effects," Kaur said. "There are reports available in literature which suggest that natural products can be used as an effective and safe cancer treatment." Kaur's study proposes the use of ginger, garlic, blueberries, turmeric, grapefruit and ashwaganda (an herb) for the treatment of aggressive forms of breast cancer. 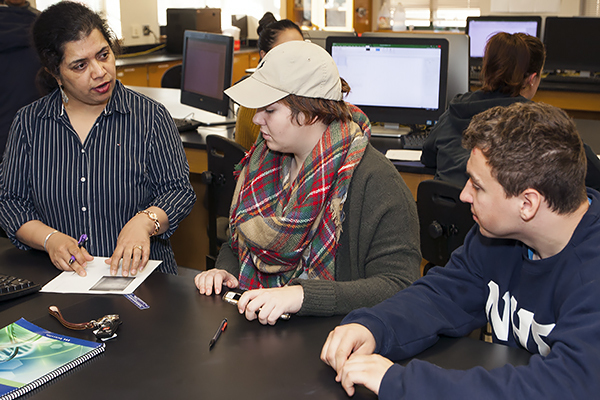 Under her guidance, two students from Kaur's cell biology class will review literature, design and conduct lab experiments, and analyze and conclude the results. The students will be trained to culture breast cancer cells in tissue culture flasks and conduct treatments on them with natural products at different concentrations. If cell death is reported, further experiments will be conducted to find the mechanisms of cell death. The results of Kaur's project will be presented at various undergraduate research meetings, including the National Conferences for Undergraduate Research, and the Annual Research Conference at UNG. Student researchers will also present this work in poster form in very prestigious national level meetings of the American Association for Cancer Research and the National Cancer Institute. 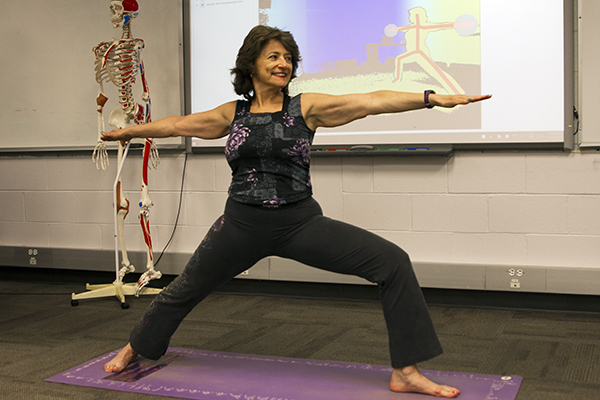 While Kaur's project is designed to save lives, Seffens hopes to reverse the sedentary lifestyle of many of America's youth and elderly through interactive yoga programs. Seffens project, titled "Yoga-Based Exergame Development for Adolescent Health Promotion," contends high levels of habitual sedentary lifestyle in adolescents result in a range of poor health conditions. 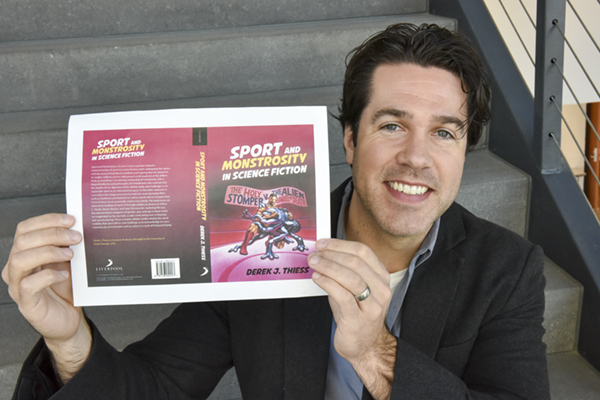 She proposes the use of "exergames," or interactive video games, that require a higher level of physical participation than in ordinary games. The project will utilize smart technologies to improve physical activity levels in adolescents, the elderly and special populations through games, specifically yoga programs, at community centers, health clinics or at home. Dr. Paula Seffens' CURCA project contends that high levels of habitual sedentary lifestyle in adolescents result in a range of poor health conditions. She proposes the use of "exergames," or interactive video games, that require a higher level of physical participation. Seffens will use the mini-grant funds to hire a student computer programmer to design an interactive yoga program aimed specifically at young people, to run on a Microsoft Kinect game platform. She plans to introduce the exergame at the Boys and Girls Club of Lanier in Gainesville, Georgia, as a pilot program. Subsequent versions of the exergame will be designed for specific age and ethnic groups. "The purpose of all of this is to develop a practical application of yoga designed to reach special audiences, to those who ordinarily would not be exposed to yoga," Seffens said. William Balco, assistant professor of anthropology,; "Culture, Space and Place: Identifying and Assessing Strategically Important Locations in Post-Medieval Sicily"
Swapna Bhat, assistant professor of biology, and Dr. Evan Lampert, associate professor of biology, "Identification of Microorganisms Obtained in the 'Bugs on Bugs' project by Culture-Dependent and Independent Methods." Paul Johnson, associate professor of biology, and Dr. Dobroslawa Bialonska, assistant professor of environmental microbiology, "Isolation of Antimicrobial Compounds from Trischosporon spp." Mengyi Ying, assistant professor of math; Karen Briggs, professor of math; and Ping Ye, assistant professor of math, "Exploring the Model Minorities: Studies of Asians Academic Performance at UNG." James Diggs, assistant professor of biology, "The Phylogeography of the Southeastern Species of Dalea (Fabaceae) and Calycanthus (Calycanthaceae) Using a Molecular Approach." Yu Wang, assistant professor of chemistry; and Dah Thompson, professor of chemistry, "Biomanufacturing High-Value Furan Compounds and Expediting Biofuel and Biopolymer Production." David Patterson, assistant professor of paleobiology, and Jessica Patterson, lecturer of biology, “Unlocking Ancient Carnivore Ecology with Contemporary Feeding Experiments."